Delays the closing cycle to allow slow moving pedestrians to pass through unhindered by the closing of the door. In-built cushioning during the opening cycle to minimise the risk of personal injury and damage to adjacent walls. 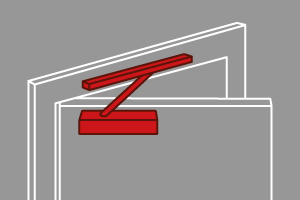 This function should not be used as an alternative to a door stop. 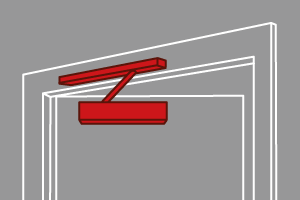 The speed of closing in the last 10 degrees ( approximately ) can be adjusted to overcome intumescent seals and latches. 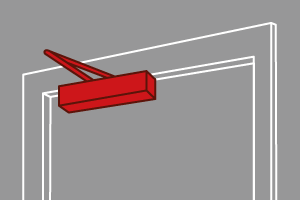 All Synergy closers have an adjustment valve which allows the closing speed to be controlled. 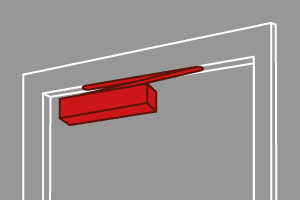 This is effective throughout the whole closing cycle except when delayed action or latch action are activated. Can be used where it is not suitable to have a projecting arm. 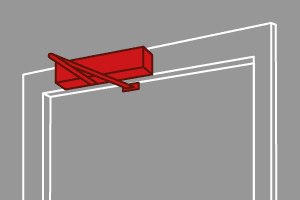 Consists of a single arm connected to a channel mounted above the door. Not suitable for doors with projecting architraves. 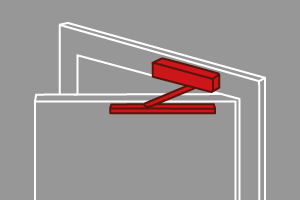 The closer’s power can be changed by altering the position of the closer on the door in accordance with a template provided. 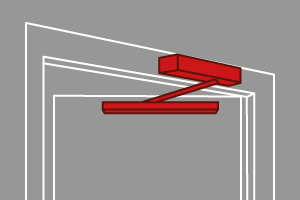 The closer’s power can be adjusted after the closer is fitted by adjusting the spring tension of the unit to suit door size and site conditions. Synergy Hardware offers a comprehensive range of door control products. Our products are in the main exclusive designs and are sourced from a leading global manufacturer with vast expertise in offering innovative and high quality products for the architectural hardware market/commercial and residential construction markets. Our products provide outstanding performance through superior production facilities, highly skilled engineers and a commitment to strict quality control procedures.